ENTRY: R25 per person, payable at the Info Booth on the day – Print and bring the adventure sheet form with you for a R10 discount and a bonus point! Pre-register and get another bonus point by emailing events@nullalteregos.co.za and announcing your intent to participate in the sneakiest of manners! The first 25 participants TO CHECK IN ON THE DAY AND WHO PRE-REGISTERED ONLINE get a FREE THIEVES GUILD COAT OF ARMS BUTTON BADGE! 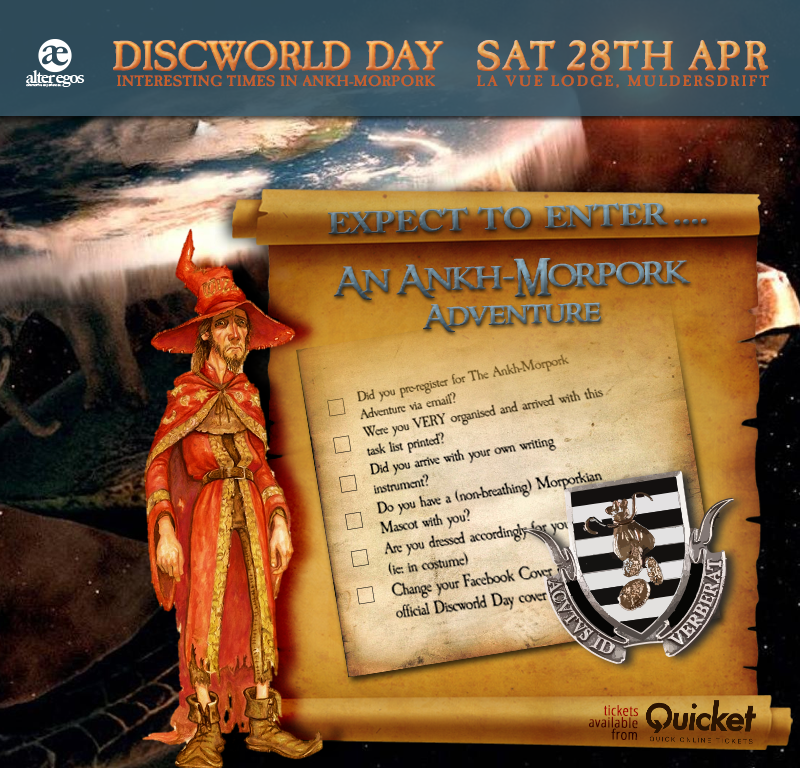 You will need to check in at the Info Booth at #DiscworldDay2017 from 13:30pm on the 28th of April to begin your Adventure.